With hypnotizing hand carved details delicately splashed across a canvas in a series of radiant colors, the Whisper collection by Surya will surely make a statement within your space. 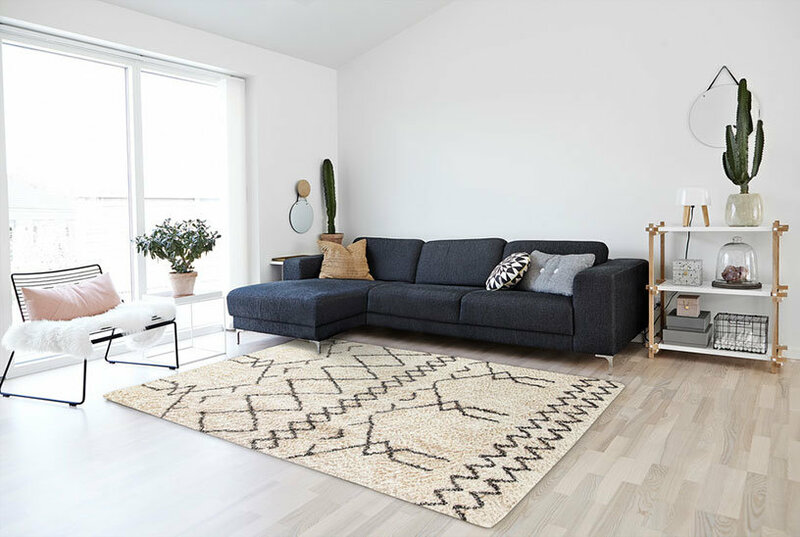 Hand loomed in a flawless combination of acrylic and wool, the loop texture and divine detailing allow each of these perfect pieces to radiate sophisticated charm from room to room within any home decor. Features Constructed using hand loomed techniques Covered under a 1 year limited warranty Made in India Specifications Length: 96" Width: 30" Rug Shape: Runner Pile Height: 0.394"
Features Constructed using hand loomed techniques Covered under a 1 year limited warranty Made in India Specifications Length: 96" Width: 60" Rug Shape: Rectangle Pile Height: 0.394"
Surya Wave WVE1003 White Solids and Borders Area Rug, 3'3"x5'3"